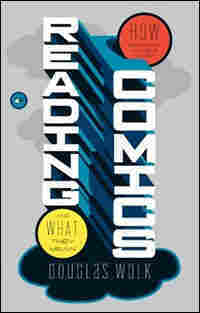 Excerpt: 'Reading Comics: How Graphic Novels Work and What They Mean' Douglas Wolk takes graphic novels seriously and dissects today's comic-book landscape. Get more summer reading picks from Glen Weldon. There's a problem with the way a lot of people talk about comics: it's very hard to talk about them as comics. One numbingly common mistake in the way culture critics address them is to invoke "the comic book genre." As cartoonists and their longtime admirers are getting a little tired of explaining, comics are not a genre; they're a medium. Westerns, Regency romances, film noir: those are genres—kinds of stories with specific categories of subjects and conventions for their content and presentation. (Stories about superheroes are a genre, too.) Prose fiction, sculpture, video: those, like comics, are media—forms of expression that have few or no rules regarding their content other than the very broad ones imposed on them by their form. Still, there's a reason people make that mistake. Until about twenty years ago, the way almost everybody experienced the medium was intimately tied to a handful of genres. That's what made money for the big pulp-comics companies: superhero stuff, mostly, but sometimes horror or romance or science fiction or crime comics, each of which has its own familiar codes and formulas. The box of "genre"—you can imagine it as a long, white cardboard box, the kind collectors store plastic-bagged back issues inside—is easy to close, and hard to see out of, once you're inside it. Occasionally, comics-industry types assert that comics are good at telling stories in lots of different genres, which misses the big picture in the same way as a dairy-industry type insisting that milk can be made into lots of different flavors of ice cream. On the art-comics side of things, there's even a backlash now: readers and critics dismissing genre-based comics out of hand on the grounds that they are genre-based. This is also known as the "I'm so sick of superheroes I could scream" effect, and even though I don't subscribe to it, I'm kind of sympathetic to it. Another common error is to assert that highbrow comics are, somehow, not really comics but something else (preferably with a fancier name)—different not just in breed but in species from their mass-cultural namesakes. There's a certain nose-in-the-air class consciousness inherent in this particular argument; it's evident, for instance, in a review by Gloria Emerson in the June 16, 2003, issue of The Nation. "It has never been a habit of mine to read comic books," she writes, "so I was, at first, slightly taken aback by Persepolis: The Story of a Childhood, by Marjane Satrapi. But she is such a talented artist and her black-and-white drawings are so captivating, it seems wrong to call her memoir a comic book. Rather, it is a 'graphic memoir' in the tradition of Maus, Art Spiegelman's brilliant story of the Holocaust." If you don't see what's wrong with that passage, imagine it beginning: "It has never been a habit of mine to watch movies . . . ," and ending by asserting that, say, Syriana is not actually a movie but a "cinematic narrative" in the tradition of Saving Private Ryan. The genre/medium confusion is an error of ignorance, while the if-it's-deep-it's-not-really-comics gambit is just a case of snobbery (in the sense of wanting to make a distinction between one's own taste and the rabble's taste). But the most thoroughly ingrained error in the language used to discuss comics is treating them as if they were particularly weird, or failed, examples of another medium altogether. Good comics are sometimes described as being "cinematic" (if they have some kind of broad visual scope or imitate a familiar kind of movie) or "novelistic" (if they have keenly observed details, or simply take a long time to read). Those can be descriptive words when they're applied to comics. It's almost an insult, though, to treat them as compliments. Using them as praise implies that comics as a form aspire (more or less unsuccessfully) to being movies or novels. When comics try to be specific movies or novels, they are indeed unsuccessful. Comics adaptations of movies are pointless cash-ins at best—movies that don't move, with inaccurate drawings of the actors and scenery. Why would anyone but an obsessive want to look at that? Likewise, comics adaptations of prose books are almost uniformly terrible, from the old Classics Illustrated pamphlets to the contemporary versions of Black Beauty and The Hunchback of Notre Dame; they don't run on the same current, basically, and they end up gutting the original work of a lot of its significant content. I'm not trying to make the essentialist argument that the only good comics are the ones that avoid strategies from other media. A lot of great ones do use storytelling devices they've adapted from film, in particular. Think, for instance, of the deservedly famous opening sequence of Alan Moore and Dave Gibbons' Watchmen: six panels of identical size, starting with a close-up image of a smiley-face pin in a puddle of blood and zooming upward until the camera is looking out a window many stories above. "Close-up," "zooming," "camera": not only the concepts but the words belong to movies. As readers, we imagine a stable, continuous Steadicam motion upwards (and also visualize the sign carrier in the "shot" walking at a constant pace, perpendicular to the direction the "camera" is moving). Still, that's a great scene that uses a cinematic technique, not a great scene because the technique it uses is cinematic. Other comics actually do aspire to being movies, mostly for economic reasons: license your story or characters to Hollywood and there's a lot of money to be made. (A few comics imprints, whether covertly or openly, exist mostly to create and publicize properties that can be pitched as movies. Their comics tend to be dreadful, of course.) Still, that aspiration has to do with content rather than form. And nobody has ever wanted to write a novel and settled for making their story into comics: for one thing, it just takes too damn long to draw something when you could write it instead. I'm even going to take issue with Will Eisner, the late grandmaster of American comics, who liked to describe comics as a "literary form." They bear a strong resemblance to literature—they use words, they're printed in books, they have narrative content—but they're no more a literary form than movies or opera are literary forms. Scripts for comics are arguably a literary form in exactly the same way that film and theater scripts are literary forms, but a script is not the same thing as the finished work of art. I occasionally find it convenient to refer to some kinds of comics as "literary" (essentially, the ones that have the same sorts of thematic concerns as literary fiction), but that's still a dangerous convenience. Samuel R. Delany's term "paraliterary" is useful here, if clunky: comics are sort of literary. But that's not all they are. Comics are not prose. Comics are not movies. They are not a text-driven medium with added pictures; they're not the visual equivalent of prose narrative or a static version of a film. They are their own thing: a medium with its own devices, its own innovators, its own clichés, its own genres and traps and liberties. The first step toward attentively reading and fully appreciating comics is acknowledging that. That said, it's not a bad idea, exactly, to talk about comics using some of the same language we use to talk about prose and film and nonnarrative visual art; sometimes it fits. (In fact, we have to, because the language of comics criticism is still young and scrawny—it's so underdeveloped that there's no good adjective that means "comics-ish.") It's just worth being careful about. Describing the viewer's perspective in a particular comics panel is entirely reasonable; talking about where the "camera" is has some loaded associations. On the other hand, borrowed language is sometimes a fair trade-off for clarity. As Hedwig said to Tommy Gnosis, it's what we've got to work with. 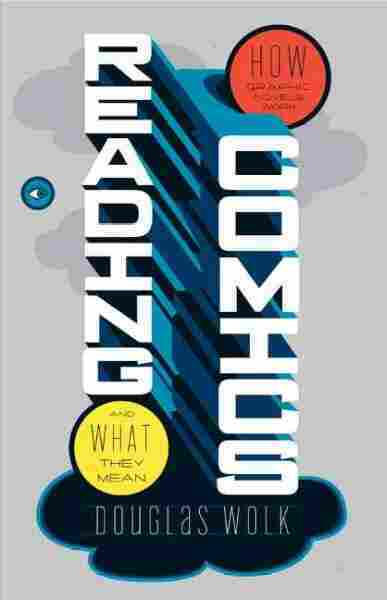 Excerpted from Reading Comics: How Graphic Novels Work and What They Mean by Douglas Wolk. Copyright © 2007 by Douglas Wolk. All rights reserved. No part of this excerpt may be reproduced or reprinted without permission in writing from the publisher.